This is the band’s 7th full album – they have been around for nearly 30 years now and have always been difficult to classify, playing a weird mix of electronics, 80′s RIO & post-punk music. 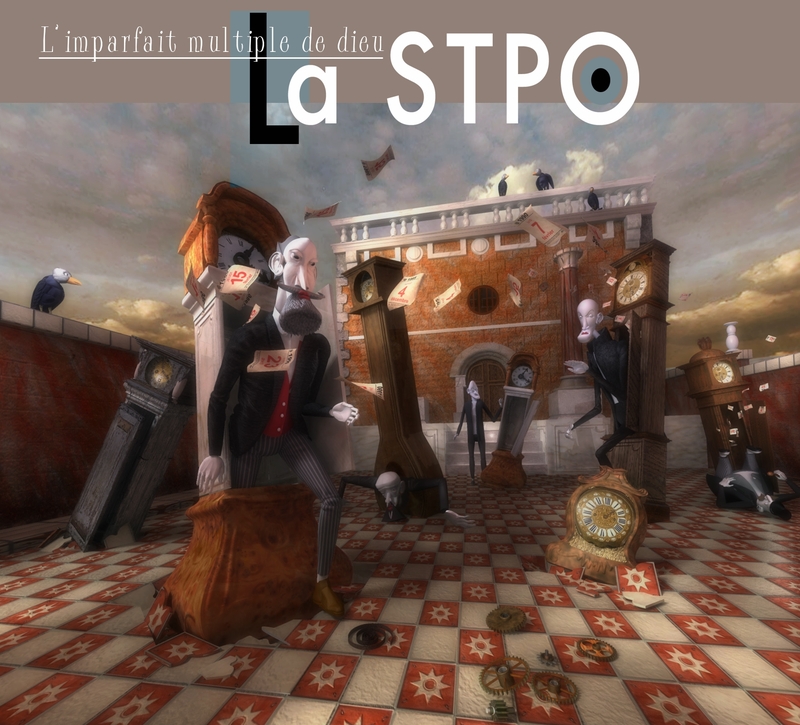 Just like Ptose, another French band of the era, they have often been compared to the Residents, although their music has a much rockier edge . On this brand new album, they show their most avant-prog side, notably on the very long opening track (27 minutes!). The music is very composed, with long instrumental moments, and is more melodic than before (in their own twisted way, of course) . Featuring guitar, bass, drums, keyboards, voice. Think Faust, Officer!, Pere Ubu, The Work, This heat… This odd territory being explored here for the very first time by Soleil Mutant, no need to say that we are very enthousiast about this recording!